When consulting with clients, the most frequently asked question is “What backgrounds work best for headshots?” The answer is, it depends. 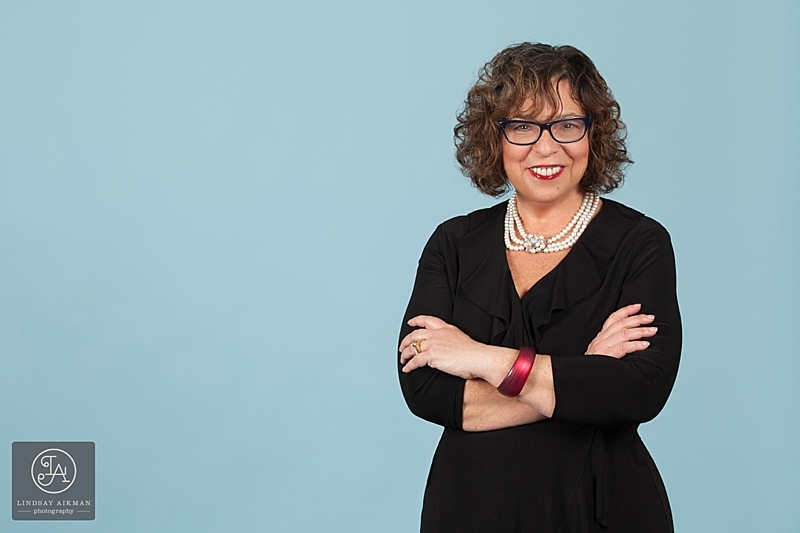 Will the headshot mostly be used for LinkedIn or on your website? Or both? What is your brand image? Or, if you are looking for employment or are currently employed, what sort of impression do you want to make? 1. Consider where you will use the headshot. Headshots that are clean and simple are best for LinkedIn. A plain studio background is great because it won’t distract the eye. You’ll also want to make sure that your headshot is taken from the chest up so that people viewing your page can easily recognize you. A classic studio headshot is perfect for LinkedIn. If you prefer something less formal like an outdoor setting or a brick wall, just make sure that the background is blurred enough that it doesn’t compete with your face. If the headshot will mostly be used on your website, you should consider your brand image first. What are your values? If for instance, you are an out of the box thinker, your headshot should be dynamic. A simple studio background may not suit you. You may want a headshot in front of a piece of artwork or a modern building. If you want to project an image of being trustworthy and dependable, then a classic studio look may work best. Many times, promo materials will feature text overlayed on top of photographs. If this is the case, studio backgrounds are ideal because it will be easy to read the text. You’ll also want to have your photographer leave some negative space on one side or the other to leave enough room for the text, as seen in the example below. 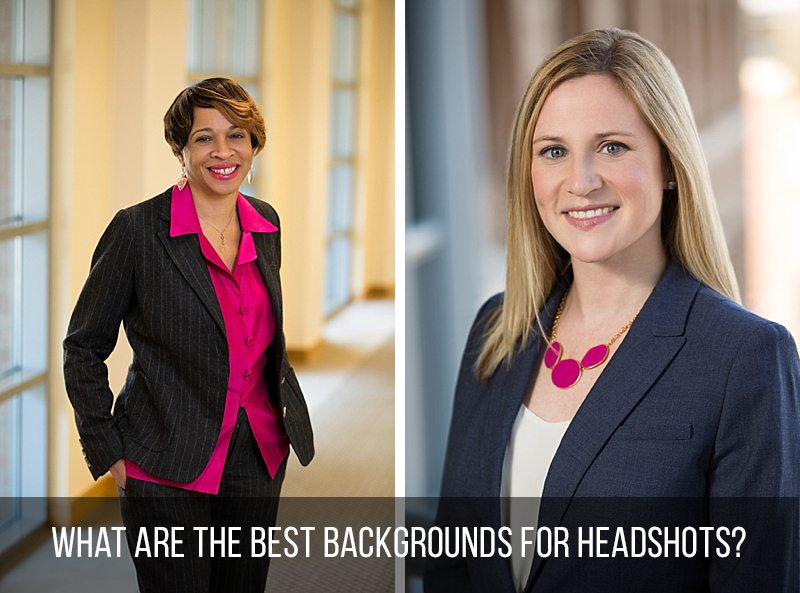 When choosing a headshot background, color is a super important element. Neutrals like gray, white, or black will work well for most applications. But, you may want to incorporate your brand colors into the background. Or, you may want to have a neutral background and use brand colors in your clothing. Blue is a great color to use since it is flattering for everyone and is a popular color in general. You can also use color to complement the color of your subject’s clothing, as seen in the photo of the girl in orange photographed against fall color. There are just some backgrounds that you may not like, period. For me, muslin backgrounds are just awful. They remind me of awkward portraits from the 80s, big hair and all. Whatever your personal pet peeve may be, make sure you tell your photographer! If you are in the Raleigh, Durham, or Chapel Hill area, please check out my headshot portfolio and pricing info here. I offer a free consultation call to discuss headshot options. I also include multiple background options in my studio sessions so that if you need a few different looks, I’ve got you covered!